When you’re building a new barn, you’ll need to wade through a laundry list of considerations. One of those is how you’ll handle your power needs. Before you start the construction process, find the answers to these essential questions about electricity in your new barn. Do you need a standard electricity source? Electricity sourced from the power grid isn’t your only option. For example, solar power offers an environmentally friendly energy solution–and it may make you eligible for tax credits at the state and/or federal level. Always consult a tax professional regarding credit eligibility before starting a new solar power installation. How much power will you really need? You’ll also want to consider potential future needs. Sure, you have two horses now; but how many will you stable in three or four years? It might be worth the money to invest in an electrical system that handles more than you need now to reduce the hassle of making major upgrades down the road. 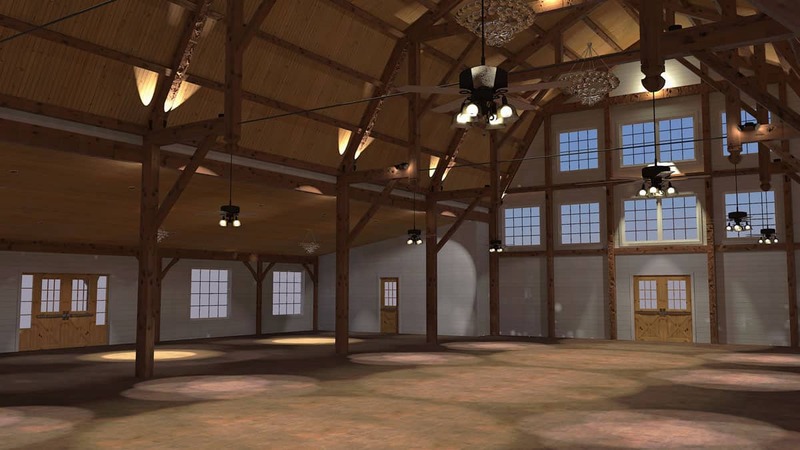 There’s another consideration as well: Do you plan to host events at your new barn? For example, couples are choosing barns as a romantic, rustic setting for their nuptials, and barn owners are taking advantage of the trend to create extra income. If you plan to rent your facility for weddings or other events, you’ll need to factor in electricity demand for generators, portable lighting, and more. Can you power the barn from the house or do you need a separate meter? If the barn is small and relatively close to the home, you may be able to run electricity from your home to the new building. However, this isn’t always the best option. You could find yourself juggling electricity use to make sure you don’t overload the breaker. In addition, running electricity from the home will require a trench to be dug between the buildings to accommodate wiring–an added task not all homeowners want to undertake. Can you wire the barn yourself or should you hire a professional? From transformers to generators to subpanels, there’s a lot to consider when you’re adding electricity in your new barn. If you have experience with electrical installation you may be able to handle the job yourself. However, in many cases, it’s best to let a professional do the installation. An expert barn builder will be able to plan and wire a new building to suit your specific needs and meet safety best practices. Will you need a permit to add electricity in your new barn? Always check with your local jurisdiction to find out if a permit is required for electrical work during barn construction. If you’re working with an experienced barn building company, the company should have the know-how to navigate the permit process for you. When it’s time to build your dream barn, rely on professionals with the experience to help you make all the important decisions. Quarry View Construction blends Amish craftsmanship with leading-edge technology to take your barn from vision to reality. Contact our team for a no-hassle quote.